Discussion in 'Map Factory' started by Steff0o, Jun 1, 2009. This is my first map that i upload. Looking at the screens. The control point seems like it will lag just by having so many prop_statics in one area. Instead of having the walls that prop static use 2 brushes. 1 brush will be textured as blue and then have the other texture the black vent or similar. If you do this, you can have those console every couple of feet instead of right next to each other. Which it will cut down on the engine rendering so many props and help slower computers. Yes, a good way to know if the engine is having a hard time rendering props. Do +showbudget and look at prop static rendering. 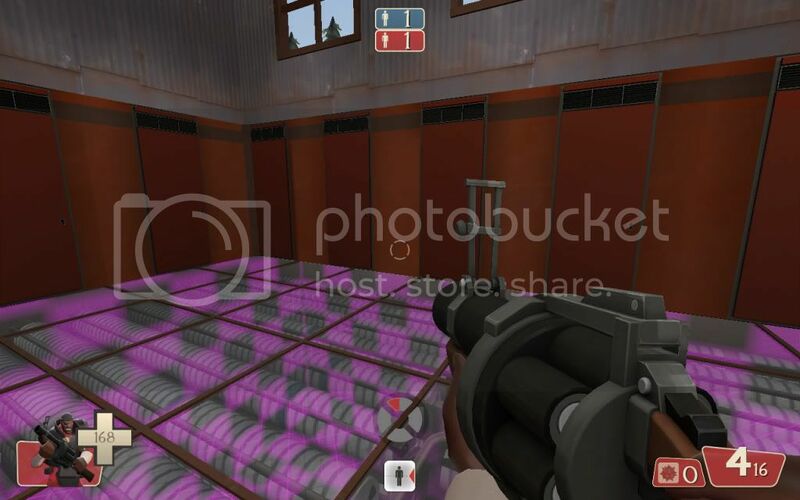 Alright, so that ok now, but do you know how to make a spectator camera?? Yes, create an entity called info_observer_point. The settings are pretty straight forward. Alpha 2 Is now online...? I ran around in it. I dont play much arena maps so I am not sure how it will play. It seems fine, pyro will probably be a bit over powered. Having the spawn points open to the other team seems like a bad idea to me, but it should work fine in arena I guess. If you gives you problems you could make a cave like thing in the rocks around the building with the spawn rooms inside on opposite sides. Like an mine. This will free up the building and people might use more of the map then just the inside. Also if you want people on the roof, have multiple ways. I only saw one way with boxes. It will defiantly be a close combat map and I think moving the spawn points and opening the roof with help this. The cap point seems fine. You could have people enter from the roof, but you need to make the windows bigger. Other than that, it seems good.